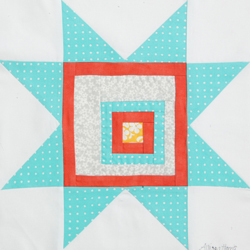 Welcome to Quiltmaker’s 100 blocks blog hop. Today Moda Fabrics is proud to be the sponsor of the blog hop. I can’t believe this is volume 4 already. Yeah, Yippee, Hurray! Congratulations to all of the designers. but I will have to add that to the some day list. 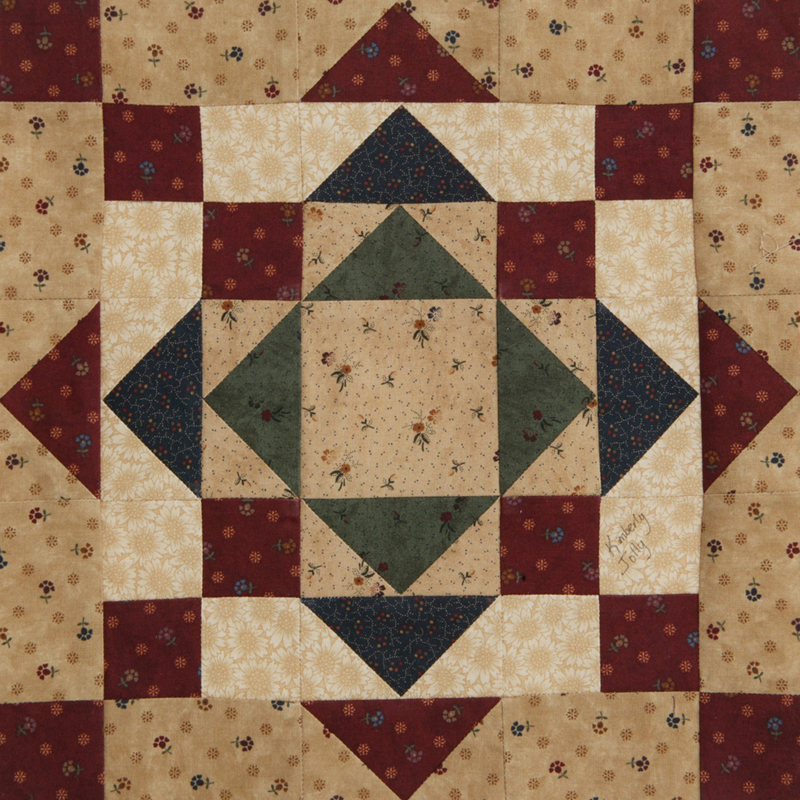 Leave a comment here to win your own copy of Quiltmaker’s 100 Blocks, Volume 4. 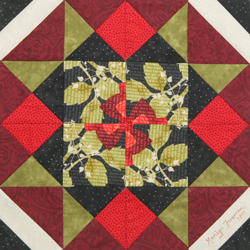 Then hop on over to Quilty Pleasures for a chance to win some moda precuts! The following 13 blocks feature moda fabrics. Love the use of Moda fabrics in these blocks. I love the giraffe. So cute! 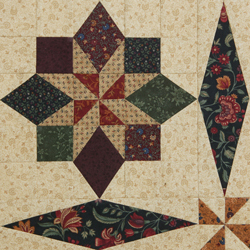 Point Me Home looks like lots of fun, and I’m guessing Kansas Challenge makes some lovely secondary patterns. Can’t wait to try my hand at these blocks! I love all of hem!! This magazine looks great, please include me. Moda…my all-time favorite fabric that gets better and better every year! So many great blocks! I would love to win! super awesome blocks, cannot wait to get my hands on that magazine!!! thanks lissa! I love Moda Fabrics, i would really love to win….thanks for a chance. The blocks are all beautiful! Thanks for the chance! What fun! The blocks are so creative. The fabrics so pretty. Thanks for the mini-quilt show of blocks & thanks for the chance to win. I love the first three and can’t wait to try some blocks from the 4th! All the blocks are so lovely!Really cute! Thanks so much! The giraffe is adorable! thanks for the lovely giveaway! All the block are so wonderful but that giraffe is the cutest! Wow! I love your fabric but did not realize you had a blog! I’m so glad I found this site, so inspiring! Thank you for all you do for quilters! Love to see all the blocks! Thanks for the chance to win! Jeremy Giraffe makes me giggle – love the fabric line. Great blocks, and great giveaway, thanks for the chance to win! These are all so beautiful. Thanks for sponsoring the contest. Lovely blocks.Thanks for the chance! Great blocks! Thanks for the opportunity! The blocks you showed are lovely. I can’t wait to get my hands on this magazine — seeing all these creative blocks really gets me inspired! Wow, can’t wait to see this magazine in person! Thanks for the chance to win! Love Kathy Schmitz’s block. 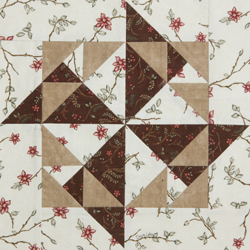 Just need to win a copy of Quiltmaker’s 100 Blocks, Volume 4 so I can make a Moda Designer block for myself. Thank you for all giveways. This was so interesting to see the blocks using Moda fabrics! Thanks! I think those blocks look wonderful in moda fabrics. I am glad I didn’t have to pick a favorite because there are so many I just love. These fabulous block designs are enchanting and make me want to go to my cutting mat and make some too! So true, any blocks would look good in Moda fabrics! Point Me Home is my favorite that you’ve shown. Have a great Wednesday! The blocks are really neat. I’d like to try “Point Me Home.” It would be great to have the magazine with the pattern in it! Wow…so glad to see Moda fabrics in all these blocks. I love the blocks–can’t wait until I can make some of them!! My blocks would probably be made with Moda fabrics too … you’ve got the best of the best designers! Thanks for the chance to win! Am looking forward to making some of the blocks. I would love a copy of that! This is fantastic that Volume Number 4 is out already! Way to keep up the good creative flow. Awesome! It’s fun to see all the fabrics used. The blocks are just great! Wow, those are some great blocks. This magazine looks great.The blocks are absolutely beautiful.I`d love a copy.Thanks for the chance!! I’m in love with the blocks you’ve shown. Would love this book. Ooh- Point me home looks amazing and challenging! Please enter me in the draw. All the blocks look great! I would love to see this issue in person. So excited about 100 blocks! Thanks for the chance to win! Fingers are crossed…. 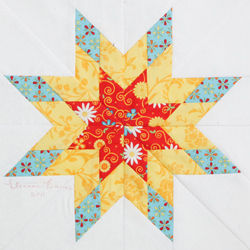 The fabric in Elanor Burns’ radiant star is so cheery and bright – I love it! Thanks for the chance to win! These blocks are just stunning. The moda fabric suits each one perfectly. I can’t wait to get a copy and try some of these blocks. These are great blocks! I’ve never used Moda fabric before, but I think I’ll give it a try. I am sure I have some Moda fabric in my stash to use on these block when I get my magazine…. Wow love them all but awe struck by Blooming by Kathy Schmitz. I love Moda fabrics, especially the browns in some of this years blocks. Love all these blocks, especially the giraffe–so cute! Thank you for showcasing the blocks done with Moda fabrics! Awesome inspiration! Love these blocks. I have so enjoyed the previous issues of 100 Blocks. And this one looks just as great! Thanks for the giveaway. fabrics are exceptional and they make the blocks even more special. I love these blocks. I think I should win. How cool that you know which blocks featured your fabric! I especially love the giraffe. How cool to see a block by Eleanor Burns. They are all fabulous. The giraffe would be perfect for a small baby blanket, it is the cutest block I have seen in a long time! I have always loved Moda Fabrics and am drawn to them first in Quilt Shops. Thank you for being a part of the Blog Hop. Thank you for the chance to win! What a lot of great inspiration from those blocks, and from all the yummy Moda fabrics. Each photo I see of the blocks just keeps getting better and better! My favorite fabric to work with is Moda and it was fun to see the blocks in Moda! Can’t wait to get my hands on a copy to just sit relax and enjoy! Then there is the figuring out which blocks to whip up first! Moda fabric, yumm. Blooming, just ahhh. Blues, beiges and browns are going to be my next quilt. Thanks for sharing. My pick is the line flower coming out of the classic basket /pot block….love it…. Moda fabrics are beautiful! They made lovely blocks. Love the blocks so far can’t wait to try some. Giraffe is my favorite! Thanks for the giveaway! Oh…where to start? These blocks are so wonderful! I already have plans for two of them, and what would I do with 100 blocks to choose from? Maybe go crazy – but I’m willing to chance it!! Please enter me in the give away. I love Moda fabrics! and all the blocks are so inspiring, it is hard to hold back to only check out the websites listed for the day…a girl needs sewing time too, you know? I love Kathy Schmitz’s and Terry Thompson’s blocks. Thanks for the opportunity! I think ANY block looks great in Moda fabrics ~ one of my favorite manufacturers! I love Moda fabrics, love the way we have to mix them all…, *sigh*, the blocks are gorgeous, I’ve set my mind in a few of them ;), I’d love to win the magazine, please pick me!!! The fabrics used in Jeremy are just ideal for him! You guys have the most fabulous selections! I LOVE Moda Fabrics. I’d also love to win a copy of 100 Blocks volume 4. Love the fabric…love the blocks! I love all of the block designs, as usual. And the fabric enhances them beautifully. Thanks for the sneak peek at the Blocks today. I have loved all of the issues of 100 Blocks. Hope to win a copy – doing the Blog Hop! Thanks for the giveaway of MODA fabric. Just love them all, so many choices, so little time! Love Moda! Thanks for the giveaway! Love the blocks! Sooo many wonderful and fun blocks in this issue. Can’t wait to get my hands on the issue. Thanks for the chance! Moda fabrics are lovely as usual! Thanks for the chance! All great blocks, LOVE Point Me Home! Love Moda fabrics – also the chance to win the new magazine. Lots of great blocks. they all look lovely! love the starry eyed! I love Moda fabrics. Thanks for the quality you provide. I’d love to win and add the book to the other 3 issues, thanks for the chance. Moda has the most beautiful fabric! and I love the bake shop! I’d love to win the latest 110 Best. I LOVE that Radiant Star block! gotta love Moda; they’re always right there for whatever project. thanks. I can’t wait to get a copy of the current issue. They’re always a lot of fun. That giraffe is so cute! 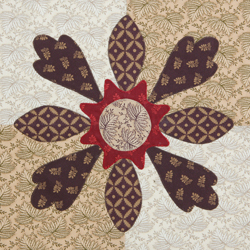 I’m really enjoying this block tour–so many wonderful ideas and so many wonderful fabrics. I am inspired by all the block designs and the beautiful fabrics. I would love to win the forth issue to join my other three issues. Thank you! The blocks are all beautiful! Thanks for the chance. I am really enjoying this blog tour. So many ideas. And I think I just found another favorite in reviewing your blog. It is Kansas Challenge by Peg Spradlin. I can just see that as a bed quilt. Thank you Moda for wonderful fabric. You make quilting a joy. Can’t wait to pick test a few out on my new layer cakes! Can’t wait to try some of those blocks! Oh you tease us so! There sre so many beautiful and cute blocks, it will be hard to decide which ones to make. Great blocks and Great fabric! I’d love to win a copy of the 100 Blocks. I do love your Moda fabrics. Aren’t all these blocks made with your fabrics just darling. What talent these quilters have!!! Love Moda fabric. Love these blocks! Love those blocks!! Thanks for the chance to win. I love all the fabric choices in these blocks! I’d love to win a copy of this issue. Thanks! Oh my what beautiful blocks. This looks like another great issue. Of course, I’d love to win a copy. Thanks for the opportunity, and all the fun that goes with it. Be still my heart! All of these blocks look amazing. Thanks. Love all of the blocks and fabric. I am a Moda girl! You are right, any these blocks would look great in Moda! I love Moda fabric. It makes up beautifully in the blocks. Love to win your book. I love these blocks… can’t wait to get my copy of the magazine – win or buy, whichever! Love the blocks and love Moda fabrics. Would love to win the magazine too. I see so many blocks I want to make. And you are correct, they would all look good in Moda fabrics! Thanks for a chance to win. I love the dinosaur block. I love the blocks and moda fabric. Thank you for the giveaway. Love the quilt blocks! Can’t wait to see the magazine! So many great blocks! It would be hard to pick a favorite. Moda fabrics are the best! Its looking like a great issue of the magazine, cant wait to try the blocks. Thanks for the chance! Looking forward to seeing the magazine. Can’t wait to get my hands on the magazine! I LOVE Moda fabrics! What adorable blocks featuring Moda! I like em! Love this issue and being able to see some of my fav designers all in one place! LOVE MODA, too, and any of these would be beautiful in one of your fabs. I love Eleanor Burns and Debbie Taylor blocks.So different but both so cute. They are all so beautiful. I think I like Eleanor Burns block the best. The colors just feel good together. I think the giraffe is too cute also. What a fun kids quilt that would make. My eye is always drawn to the darker fabrics. Why is that??? love all the blox, ‘specially Fresh Cut by Sara Tuttle Khammash! love the moda fabrics! i’m tickled to see so many applique blox in this new edition. i would love to win it! thanx for the opportunity to do so. Wow – you should be pround – Moda fabrics in all those blocks. Can’t wait to get my copy of Vol 4 – maybe I’ll be lucky & win one! Moda is absolutely my favorite fabric. Can’t think of a block the wouldn’t look good in Moda! Moda fabrics are the best!! Love all the blocks. The more blocks I see the more I want this magazine. There are some lovely blocks pictured here. I love them all. Thanks for the opportunity ! 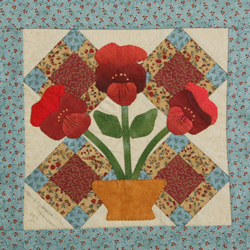 I especially like Kansas Challenge and the fabric in Patchwork Pansies. Wonderful! They all sure do look great with Moda fabric’s! What BEAUTIFUL blocks! So inspiring!!!!! Oh my the blocks are all so nice! Love all of them. The stitched block and the giraffe are my favorites. 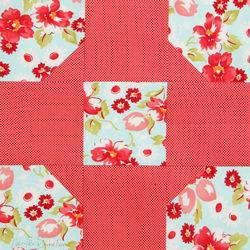 Any block made with Moda fabrics will turn out awesome, and these are prove the point! I wanna win!!! These blocks are great!! So many beautiful blocks…which one to make first??? What a great variety of blocks to highlight those gorgeous fabrics! Oh my word, aren’t those blocks all amazing! My daughter will love the giraffe block! Too cute! Thanks for the chance! I missed volume 1, but have 2 and 3…and can’t wait to get #4! Love these blocks! I keep hoping to get one of these but never do. May this be the exception to the rule. Moda has so many lovely fabrics, it would be so hard to choose. Maybe make one block in each line? Wouldn’t that be fun! Love it. Thanks for the chance! Thanks for all the beautiful fabrics. I agree, they look totally fab in Moda fabrics!!!! I love the moda fabrics in these blocks, they have such a variety of prints that there is a print for every style of print. I love the dog block on the front cover, I would like to make a baby quilt using a rainbow of colors for the dogs and fabric I saw with a rainbow of dog bones for the border. All the Beautiful blocks. So inspiring. I have enjoyed ALL OF THE BLOCKS – and I love MODA! I think everything looks and feels better with Moda fabrics. Thanks. This is me leaving a comment in hopes that I win that book. Gorgeous blocks, and lovely fabrics used — thanks for the chance to win! Love the blocks and Moda fabric. I really enjoy the 100 block magazines. Thanks for a chance to win a copy. love them ALL these just keep getting BETTER & BETTER! The Giraffe looks really good! Thanks for a chance to win. With all the cool fabric from Moda, you could make LITERALLY thousands of block combinations and never repeat any of them!! Great Blocks. Gotta love Moda! LOVE LOVE LOVE Moda! Not many stores carry it in my area, but a new shop just opened a month ago and they have plenty of it! Yahoo!! 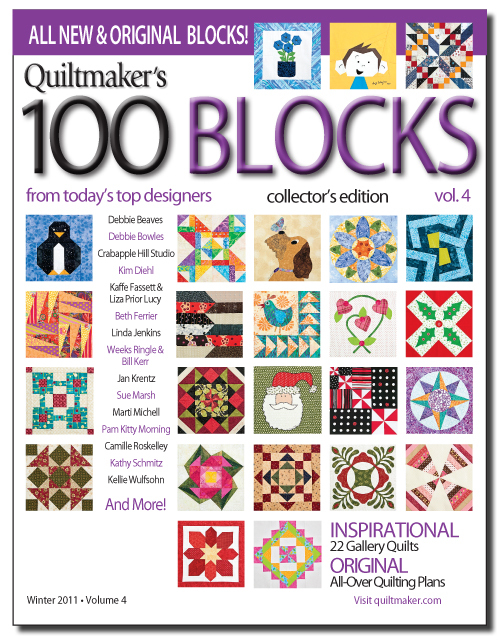 I would really love to win a copy of Quiltmaker´s 100 Blocks. Count me in! 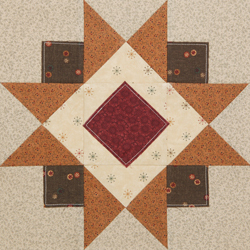 I love the Hometown star–and of course my favorite fabrics are Kansas Troubles—If I would get over my fear of applique I would try Patchwork Pansies! Some of them are really great! I would love to win the copy! Love the giraffe block and the pansy block. Would love to win the magazine. 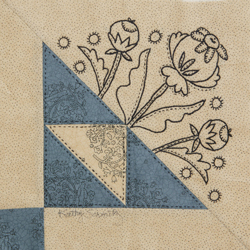 I really like the fabrics in Kansas Home by Lynn Hagmeier. They are quiet and relaxing and I think that is what I need in my life right now. Moda fabrics are the best. Always an inspiration for another quilt. They’re all beautiful, but I have so say that there’s just something about the “Radiant Star” by Eleanor Burns that I just LOVE! What a great bunch of blocks and designers. I’m new to quilting and it’s so awesome to see all the amazing talent. Moda has Beautiful fabrics. Thanks for a chance to win. Moda is the best! !! I would looooove to win this magazine -so mant blocks to see. A Moda fabric would look good in any block of QM 100 blocks! Thanks for the chance. I am so ready to have the new V4 I can’t wait. Would love to win it even more. Great fabrics for wonderful blocks! Wow. LOOK at all that gorgeousness in one post. So many that I just love and the fabrics are what adds to the beautiful blocks so much. Love Eleanor Burns’ block! Have to get this magazine so I can get the pattern! I am loving these beautiful blocks, I’d love to win this great book. I am loving this volume, have seen quite a few that I want to make. love the blocks using Moda fabrics! I love the fabrics used….these blocks could keep you busy for a year or more! Love the Moda fabrics in these blocks. This seems like such a great magazine, I have volumes 2 and 3 but am so annoyed I missed volume 1! I definitely won’t be missing this one! number 4……so far they have all been terrific. so many talented designers! I like so many of the Moda fabrics. Am hooked on the charms and jellyrolls especially. Thanks for a chance to win a copy of the 100 blocks vol 4. What a great variety of blocks, they are so nicely highlighted with all those different block patterns. My favorite block is the radiant star. I have many Moda fabrics. I’ll have to find the star pattern,Unless of course I win the vol 4 book. I LOVE moda’s fabrics..such a great feel to them! !…so many blocks..so many choices…let’s see..where do I start?……thanks for the chance to win!!! Love!! Moda fabrics! !…such a great feel///awesome quality…hmm…love the radiant star….giraffe….so many blocks…so many choices….thanks for the chance to win…where do i start? I love the Hometown Star block, these are beautiful colors. Lots of nice variations. Really like the hometown star. Love the colours on that one. They Pop! Love “Point Me Home”. Moda makes my favorite fabrics. Addictive! I love all of the beautiful patters and colors that Moda designers produce. I can’t wait to get my hands on this magazine! I’ve looked in three stores so far and will keep looking til I find one! These blocks are all wonderful. I don’t believe you can go wrong if you are using Moda fabrics, there is so much varity you are bound to find what you need. 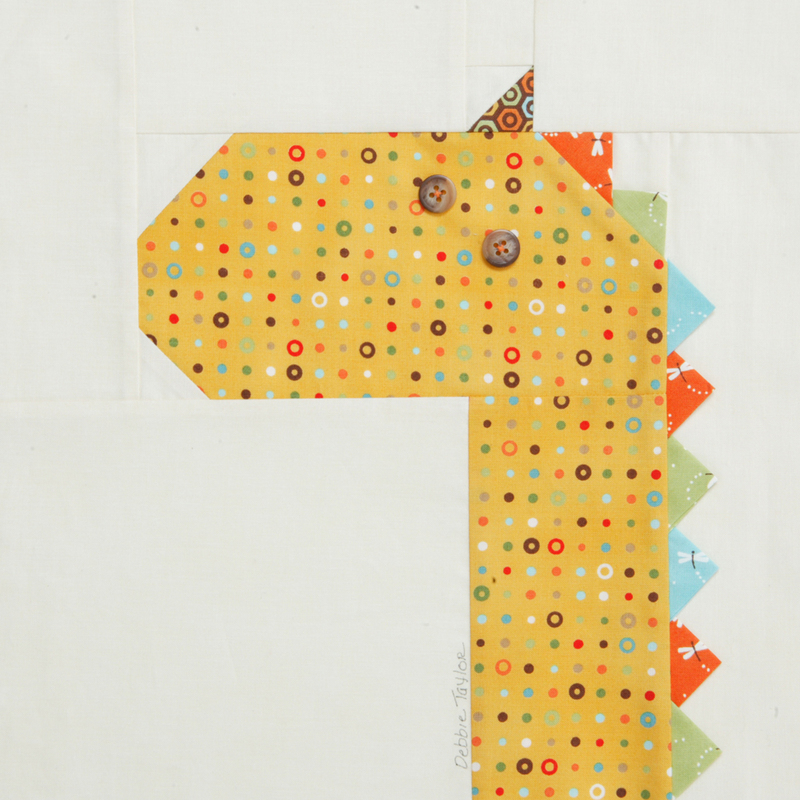 Always enjoy your fabrics, especially in quilt settings–could anything be cuter than the giraffe? I LOVE MODA FABRICS!!! Period. Thanks for the giveaway! Radiant Star by Eleanor Burns is my favorite. Would love to make some of the blocks! Love Moda fabrics! thanks for being a sponsor. Love these blocks. Great magazine showing off all the Moda fabrics. Thanks for the chance to win. thanks for a chance to win this – so much fun getting this preview! Love Love Love these blocks! What a fun way to spend a day. Making blocks and creating quilts with them. Thanks so much! I love Moda fabrics. You can definitely pic them out of a crowd. Thanks! I absolutely love these fabrics – but I’ve always had a soft spot in my heart for Moda — as my stash clearly shows! Such fun!! I love your fabric, all of it. Love all the blocks and fabrics! So fun to see all the new blocks people come up with. Thanks! I LOVE MODA FABRICS!!! All of these blocks will look awesome in MODA! These blocks look wonderful! I think a quilt made with moda fabric using blocks from this book would look fabulous. Thanks for the opportunity. Moda fabric is just beautiful. Thank you for the chance to win. what a neat selection of blocks. i’d love to win the volume and see them all! Thanks for the chance to win the 100 Blocks magazine. Love Moda fabrics – now I just need to win the lottery so I can buy a whole bunch of it! Moda makes some fantastic fabrics. 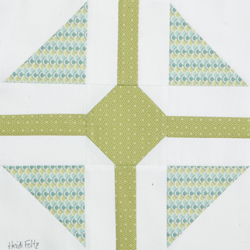 I love the ones that Heidi Holtz used in her block. So many great blocks….where to start? It looks like another terrific magazine- thanks for the chance to win one. can’t go wrong with Moda! Great blocks! I would love a copy of the magazine. Thanks for the chance to win. Love the Fresh Cut block. Moda has the best choice of fabrics! Thanks for the chance to win. I love the variety of the blocks. So neat to have all of these blocks in one issue. Oh Moda how I love thee, let me count thy ways! Oh, I really like the Hometown Star and the Kansas Home blocks. Thanks for sharing all of them! Beautiful blocks and especially love the fabric choices. Thanks for the chance to win. Love them all, especially the color combinations! I have never met a Moda fabric that I did not like! Love these blocks (especially the giraffe!). OOOHHH!! I’d LOVE to win a copy! Thanks for the giveaway! Gorgeous blocks thanks for a chance to win! I would love to win, but I see several blocks already that I can draft out in my favorite Moda fabrics! What fun! Such great new blocks and ideas! Thanks for letting us know the new issue is out. Fabulous work, Moda! What a great book, any kind of block you can imagine. I see many quilts in my future. Especially love Point me home and the KT block. Would love a chance to win. I love the Giraffe in moda fabric. I LOVE Moda fabrics! There are always so many choices to choose from! love all the blocks, and can’t wait to try my own. Also the new Bella Solids are wonderful!! Beautiful blocks esp. fresh cut and blooming, thanks for the giveaway.